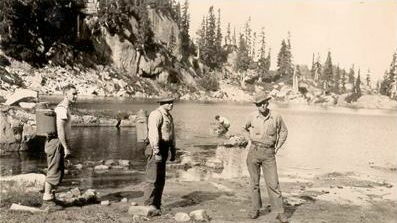 The Washington State Trail Blazers is a private club, formed in 1933, devoted to "better alpine fishing." 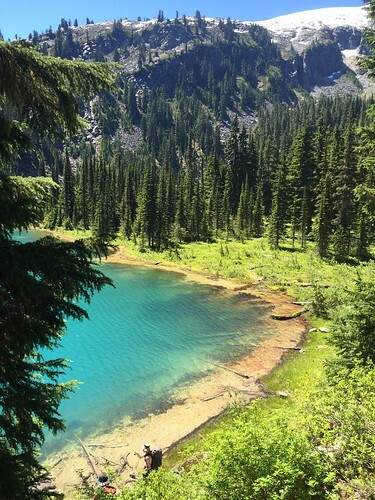 Club members work as volunteers for the State of Washington, backpacking trout fry into Washington's alpine lakes. We are a 501(c)(3) tax exempt corporation dedicated to continuing the alpine fishing experience for public enjoyment. We have a special fondness for these alpine jewels. They have become linked to our hearts and souls. As we visit them we are enriched by their beauty and the experiences we share with our companions.